The Taj Mahal in Agra could be closed unless the Indian government steps in and saves the neglected landmark, says India’s Supreme Court. “Either we shut down the Taj or demolish it or you restore it,” the two-judge committee told state officials last week. In May, the judges said that the white marble monument was turning yellow, and even brown in parts, due to pollution and insect dung, and told the central government that it should seek foreign expertise to fix “the worrying change in colour”. According to the Indian Express newspaper, the Supreme Court judges told the Ministry of Environment and Forests that the “Uttar Pradesh [state] government is not bothered. No action plan or vision document has come yet. 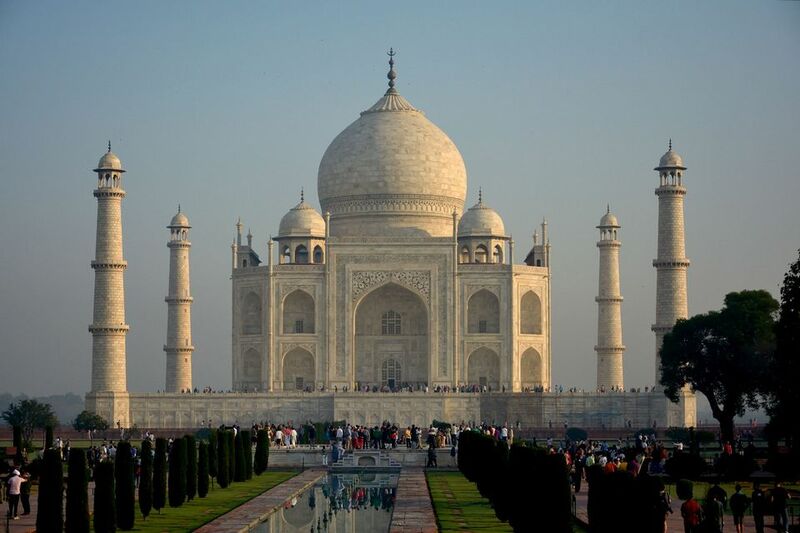 Either you demolish [the Taj Mahal] or you restore it.” The court has subsequently requested an action plan to save the Unesco World Heritage site. Local press reports state that Atmaram Nadkarni, the solicitor general acting on behalf of the environment ministry, told the court that a committee led by the Indian Institute of Technology in Kanpur “will find out the exact source of pollution in and around the Taj”. However, this analysis will take around four months to compile. Mahesh Sharma, the minister for the environment, declined to comment. Meanwhile, officials from the Archaeology Survey of India, a government organisation responsible for the conservation of national monuments, say that they are trying to combat the effects of pollution on the landmark. The Supreme Court says that it will monitor the situation on a day-to-day basis from 31 July. The Taj Mahal is located around 274 kilometres southeast of New Delhi and attracts around 70,000 visitors daily. The monument was built in the 17th century by the Mughal emperor Shah Jahan as a mausoleum to his wife Mumtaz Mahal, who died giving birth to their 14th child.